Getting down to business is inevitable whenever you hold this top notch tactical axe in your hand. 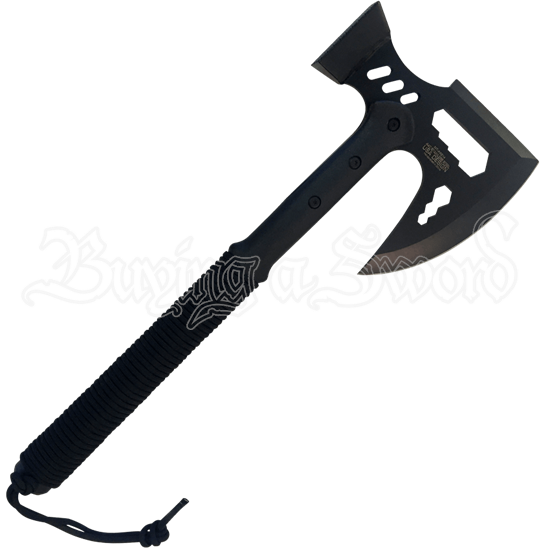 The Black Survival Hammer Axe serves as a multi-function tool, displaying a 6 centimeter ruler along the top of the head. Made from stainless steel, this outdoor axe has a matte black finish for a sleek look. It features a hammer head opposite the axe blade, giving you two more ways to use the tool. The black handle is wrapped in cord, and a cord lanyard hangs off the end of the handle. 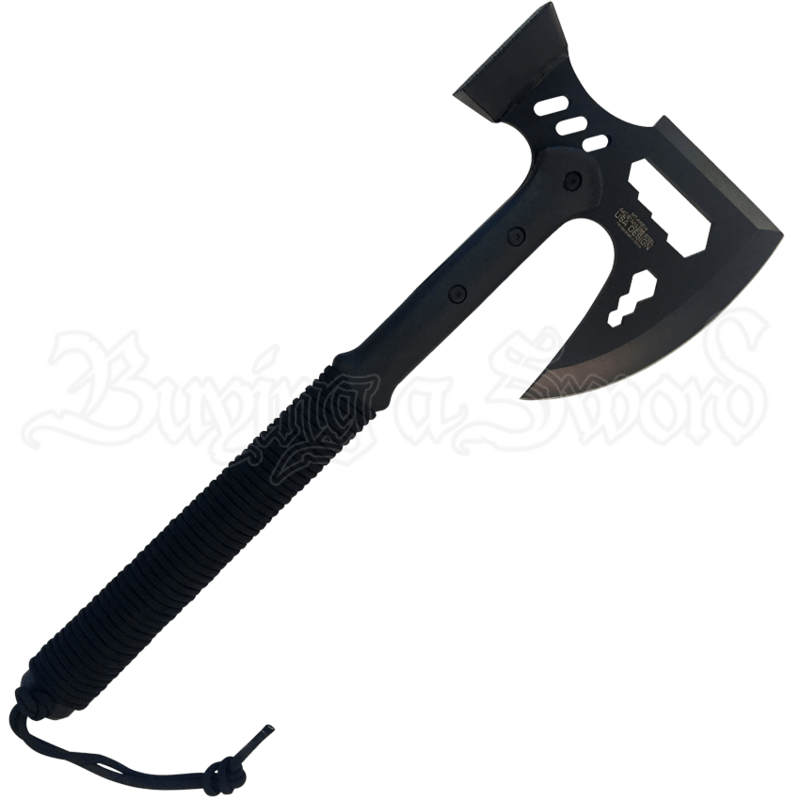 Whether you are looking for a wood chopping hatchet or a survival axe, this black steel axe makes a great choice.